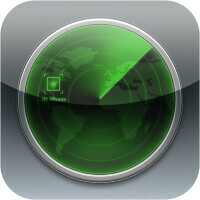 Apple users are probably well familiar with the Find My iPhone service. It is designed to help you locate and protect your iPhone, iPad, and iPod Touch if they get lost and stolen (which still happens at an alarming rate). To accomplish this endeavour, FMI has a device locator (finds the item on a map), plays a sound on your device to help you find it, uses Lost Mode to lock and track devices, and lets you remotely erase all your personal information from the device. As an app/service combo that comes stock with iOS, Find My iPhone goes reaches pretty far and wide, but if you are looking for an alternative (and there's an alternative to everything and anything these days), we have lined up five quality, free applications that you can consider. In addition to covering Find My iPhone's basic functionality, they extend it with special tricks of their own, such as reports, location sharing, photo taking, and back-up facilities. Do check them out, you might find something that's right up your alley! - Call your missing device over the web from any web browser (only available if you don't have a pass-code on your device). Soluto aims to be an "it just works" solution for phone and tablet discovery. It provides support and protection for your devices from any Internet-connected spot. Now, the app does have a locating facility that lets you find and secure a lost phone, as well as remotely lock it to keep your important information secure. But that's not all there's to it. You can also get support for connectivity issues and email set-up, back up your data on 250MB of free space, and improve device performance with tips for optimizing storage and battery life. Soluto is pretty darn complete, overall! You can probably tell by the name that this app is a dedicated phone finder. Every time your phone changes cell towers, this app will turn on the GPS for 15 seconds and record the best location that your phone can determine at the moment. This location will be made available online and can be viewed by logging in your account from any computer or phone with an internet browser. The functionality might seem basic, but we're merely travelling the surface here! With no monthly or yearly feels, it's able to track an unlimited number of devices for you. It can also sound an alarm on your device from any computer, or send a message with sound to the device. You can also take a photo of the current user and request location updates with a push message. Location can be recorded from every cell phone tower switch, sent to you even when the application isn't running in the background, or forwarded to a location service of your choice. You can keep track of your device's battery life, complete with a graph. And then there's also the ability to make and receive VOIP calls between devices and from the Device Locator website. GPS Location Tracker by developer FollowMee tracks the location of an iOS device by silently recording its locations (GPS, WiFi, or Cellular) periodically and uploading the data to a secure server. To monitor the location of your tracked device, you simply open the app's web site on your computer or mobile device. Once the app starts, it runs quietly in the background, without the need for interaction. It continues to run even after the tracked phone reboots. It will restart itself if terminated by a user, and only stops when a specific 'stop' button is pressed. That could be made hard to happen, as the application screen can be locked by password. Feb 04, 2016, 9:44 AM, by Paul K.
Jan 14, 2016, 10:50 AM, by Nick T.
The article is for iOS. Why use a third party one when the built one works fine?